California’s wine country has seen its share of wildfires in the past year, with blazes in the fall of 2017 devastating businesses in the region as fires burned through 10 million acres across the state. The threat subsided over the cooler seasons but has returned with full force, seen in the Mendocino Complex Fire that has now grown to span almost 56,000 acres, according to ABC. For wineries, wildfires can have a long-lasting impact by affecting the flavor of the grapes and limiting wine stock, as well as dampening tourism. Justin Guerra and Larry Chasin from PAK Programs, which provides insurance programs for wineries and vineyards as well as breweries, wine and liquor retailers, cideries, and other businesses in the sector, were in Napa and Sonoma last year when the fires were still burning, and spent months visiting loss sites to prepare for a fiery future. “We’ve since tried to transfer those lessons learned into how can we help and how can we make this better the next time this happens,” said Chasin, president and CEO of PAK Programs, listing drones as one technology that his team has used to capture data and map properties. Making sure the area around a property doesn’t encourage a fire to grow is a key risk mitigation strategy – a lesson Guerra, geospatial analyst for Winery PAK, and Chasin saw play out at claims sites. Establishing defensible spaces means trimming trees above buildings so if a brush fire ignites, flames don’t then spread up the branches and get to the structure. Many people also like to plant shrubs and trees all the way up their driveways to a property, but the PAK team has seen fires jump from treetop to treetop. It took last year’s devastation to wake up many winery owners to the need for proper mitigation and insurance. Many insureds also may not be aware which buildings are included in their insurance policy, so it’s important to map a property and identify all potential at-risk structures, like pumping stations or water tanks. 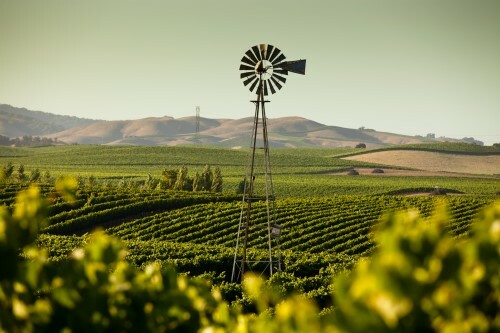 Wineries have to watch their water distribution channels in particular since many function like mini-cities with utilities spread out across, in some cases, over 1,000 acres, according to Chasin. A wildfire can roll through and melt down tanks, affecting the water supply for an entire property. Based on last year’s wildfire season, PAK Programs has implemented newer tools, including drones and GIs-computer-based software to analyze properties based on their terrain, which have already been put to the test this year. “We’re starting to see the fruits of all these tools pay off,” said Guerra.